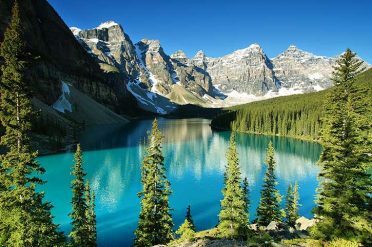 This classic Western adventure is ideal for nature enthusiasts; it takes you through British Columbia and the dramatic Rocky Mountains of Alberta to explore the breathtaking landscapes and wonderful wildlife this region is famous for. Upon arrival into Vancouver, make your way to the hotel for the start of your self drive holiday. The rest of the day is at leisure. The day is yours to discover the coastal city of Vancouver. Canada’s third largest metropolitan centre, Vancouver is a busy port city with a multi-cultural ambiance. The spectacular setting invites you outdoors; explore the restaurants, shopping, galleries and museums, nightlife, entertainment and more. 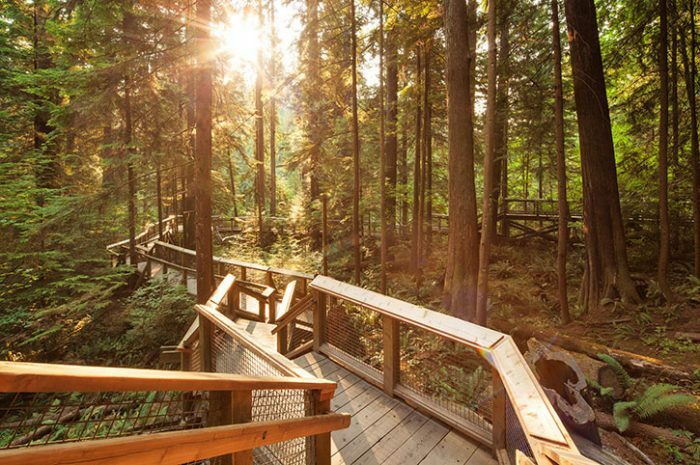 Today, experience Grouse Mountain Skyride (included) and Capilano Suspension Bridge (included) at your own leisure. Be sure to see such sights as Chinatown, Historical Gastown, the markets of Granville Island, and the famous shopping district of Robson Street. Leaving Vancouver drive south to Tsawwassen Ferry Terminal for a 90 min Ferry ride (ferry toll included) to Swartz Bay. On-board BC Ferries enjoy the scenery of the Gulf Islands as you cross the Strait of Georgia. From Swartz Bay continue on to the charming city of Victoria. 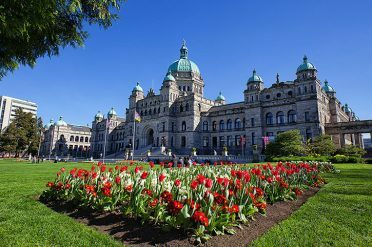 Today is free to explore Victoria, with its turn-of-the-century architecture, British traditions such as high tea, and shops full of woolens and china. Admission is (included) to the Butchart Gardens with its over 50 acre display of magnificent colour. Travel to the rugged West Coast of Vancouver Island and head to Pacific Rim National Park. En-route stops should be made at Duncan the ‘City of Totems’, where you may visit the Quw’utsun’ Heritage Village, which will provide you with an insight into the lives of the northwest coast people (admission not included). Make a stop in the artist community of Chemainus, where you can admire the giant murals which adorn the exterior walls throughout the town. Drive through majestic Sutton Pass and the Sawtooth Range of the Cascade Mountains to arrive in Tofino around mid-afternoon. You may wish to walk along the famed Long Beach, with its miles of pristine sandy beach and pounding surf, or explore the rain forests on a selection of well groomed trails. 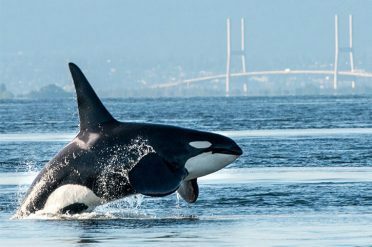 Mid-afternoon enjoy a 3-hour whale watch cruise (included) through the Clayoquot Sound, revealing sensational scenery and wildlife such as Gray Whales, Sea Lions, Porpoises and Orcas. The area is also known for its variety of birds, including tufted puffins and resident bald eagles. Depart Tofino for your return journey to the East Coast and the city of Parksville. En-route, picture stops should be made at Cathedral Grove to enjoy the splendour of 800 year old Douglas Fir and Cedar trees, as well as the Mars Water-Bombers at Sproat Lake, the world’s two largest waterbombers used for the sole purpose of putting out forest fires. From Departure Bay sail for 1 hr 45 min on BC Ferries (ferry toll included) to Horseshoe Bay. Travel along the scenic Sea-to-Sky Highway to Whistler. Highlights along the way include the cascading Shannon Falls and the Stawamus Chief Rock where climbers from all over the globe migrate to climb the granite cliffs. 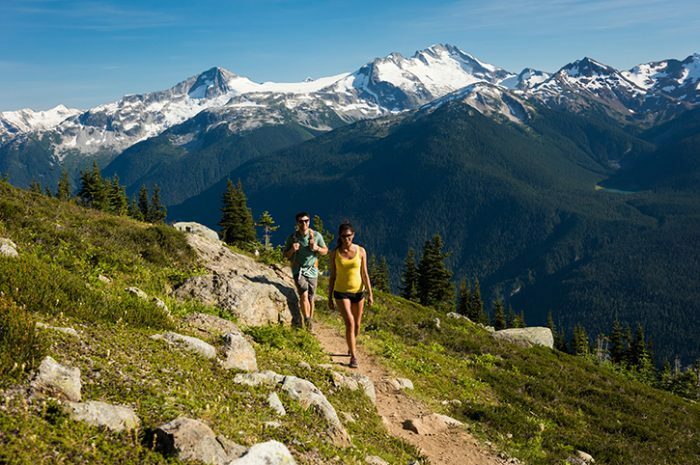 This charming alpine resort is nestled between world-renowned Whistler and Blackcomb Mountains. Enjoy an extensive range of summer activities from golf, water activities on any of the 5 lakes or numerous rivers, to mountain top dining. Experience the beauty of Whistler Blackcomb’s alpine environment via the Peak Adventure on Whistler Mountain. Take the Peak 2 Peak Gondola (included) to Whistler Mountain’s sub-alpine and then rise to 2181m via Whistler’s premier open chair lift. At the top of the Peak Chair, guests will be treated to unbelievable views of glaciers, extinct volcanoes, snow-capped peaks and more. Summer dates are subject to change due to factors such as weather and snowpack, if gondola is not operating a refund will be issued. Travel north today from the mountain village via the upper elevations of the Duffey Lake Road. Enjoy breath-taking views of Joffre Glacier and snow-capped Mount Currie that rises to a height of 2,596 meters (8,518 feet). Continue the journey north to Lillooet, known as the land of the Gold Rush Trail and ‘Mile Zero’ of the Old Caribou Wagon Road during the Gold Rush Years. Now the area is home to the largest Canadian producers of the medicinal plant, Ginseng. Visit the Gold Rush Town of Cache Creek where you stop to visit the Historic Hat Creek (included), which literally takes you back to the days of the Gold Rush. 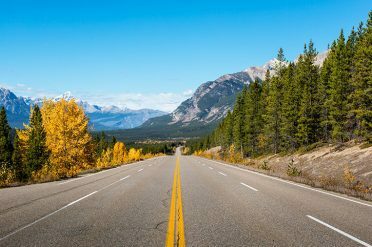 Set out for Jasper along the scenic Yellowhead Highway and take in the breathtaking vistas of the steep-walled gorges and crashing falls of the North Thompson River. On your journey today, perhaps you will get a glimpse of Mount Robson, the highest peak in the Canadian Rockies. Leaving British Columbia, you enter Alberta and Jasper National Park. Jasper was originally a tent city serving the railway, and is now a quaint mountain village (breakfast included). Jasper offers many terrific scenic highlights to explore. Take a tram ride up Whistlers Mountain, or visit Maligne Lake, one of the most photographed lakes in the world, and enjoy a 90-minute cruise heading toward the south end of this postcard setting (admissions not included). Your scenic drive along the Icefields Parkway today takes you through the spine of the Canadian Rockies. View a never-ending procession of mammoth mountains, jagged peaks, over 100 glaciers and pristine emerald coloured lakes. Along the way see such sights as the Columbia Icefield and take an Ice Explorer ride out onto the glacier (included). Also watch for the Sarbach Glacier, Peyto Lake, Bow Lake, with the Bow Glacier providing the backdrop, and Crowfoot Glacier before your arrival into Lake Louise. 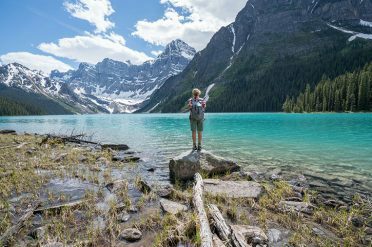 From Lake Louise, choose the Bow Valley Parkway, beside the Bow River, with an option for you to take a stop at Johnston Canyon and walk along the paved footpath to either the lower or upper waterfalls before continuing to Banff. 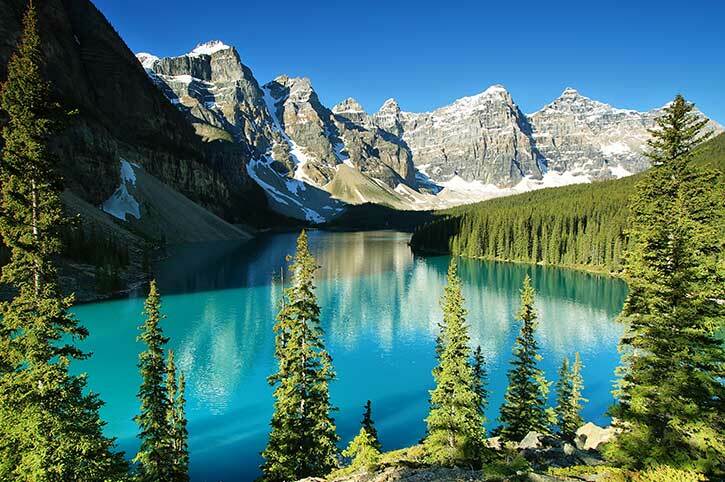 A full day to explore Banff and the surrounding area. In town you’ll find lots of excitement including shopping, cafés, nightlife and museums. Check out the Cave and Basin National Historic Site (not included), Banff Gondola (included) where you will see a panoramic view of the Bow Valley, and then take a dip in the hot mineral pools at the Upper Hot Springs. Depart the Rocky Mountains at your own leisure to the Great Central Plains that roll to the east for 2000 kilometers and extend as far south as Mexico. This is ‘cattle ranching country’ and the breadbasket of Canada. Your tour concludes with the return of your rental vehicle in Calgary. Our Superior and Deluxe Rockies to Rainforest self drive includes all the benefits of our standard option and offers superior or deluxe hotel accommodation. Upgrade your self drive from Standard to Superior or Deluxe. These hotels offer a higher standard of accommodation.